State-of-art Computer Centre is equipped with latest computers, networked on LAN and have core 2 duo Intel Processors, 1GB memory, 80/160 GB Hard drive with 15” LCD colour monitors. The Computer Centre has 24 hrs. Internet Connectivity & is equipped with facilities such as – scanner, Laser, Dot & Inkjet Printers. All students are given a personal computer account, email address & network drive. Computer Centre is open round the clock. The Institute provides facilities to students to pursue a wide range of sports (indoor and outdoor activities on the campus. The outdoor facilities include athletics, hockey, football and cricket fields; basketball, volleyball, tennis and badminton courts and an indoor recreation hall for table tennis, chess, carrom etc. Other than this a modern Gym is also available for students and staff to keep fit. The institute has on campus separate hostels for boys and girls with 24 hours security, hot and cold water supply and uninterrupted power supply. 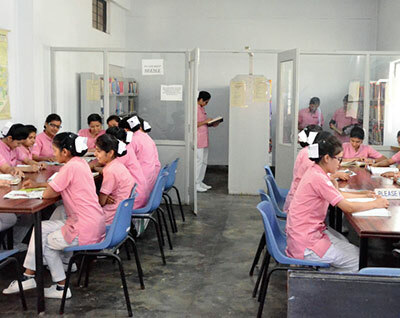 Hostel is mandatory for Nursing students. Recreational facilities like LCD TV, DVD player and Dish connection as well as Indoor sports facilities viz. Table Tennis, Carrom, Chess and Badminton court are also available in the hostel for the entertainment of the students. All hostels have telecom facility and internet availability. Library is a vital resource and it serves as a nerve centre for all academic and intellectual student pusuit. A rich collection of carefully selected books in all areas are a part of our impressive library. The library in its self-stock has books from national and international authors; National and Foreign Journals and Periodicals; video cassettes, audio cassettes and national newspapers.The Library houses and Audio – Visual lab where students can view from the collection of videos and microfilms. Book Bank facility is also available whereby students can get books on loan for whole semester. Library provides a very healthy environment for reading and consulting. Photocopier facility is also available at a very concessional rate. 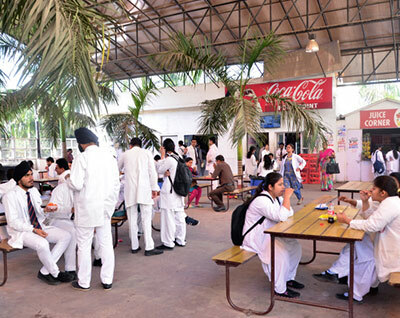 The institute provides a separate Food Court for the students and staff to enjoy healthy and Hygenic Indian, Chinese, South Indian dishes. Apart from this Food court it has also Juice Corner, Ice Cream Parlor, Nescafe & Amul Point, Cold Drinks, and Domino’s Pizza Hut facility. The Institute maintains a Guest House which has Air-Cooled & Air-Conditioned rooms with ultra comfortable board and lodging facilities. The Institute provides the facility of the Guest House to parents / visitors on nominals cost. 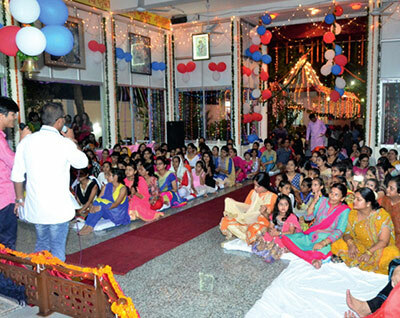 For recreation of faulty members the institute has established SRMS Staff Club in 5 Acres of land, with facility of Swimming pool, Restaurant, 16 Rest rooms, Gymnasium, Spa, Party Lawns and Air-conditioned Party Hall. A modern fully automatic laundry is established in the campus rendering its services to students, staff, faculty members and Hospital. The Institute provides regular transport services between campus and the city. Institute buses are available to the students and faculty members for commuting from various points in the city to the Institute and back. On campus, a small super market with all sorts of household items available at nominal prices. Lord Radha Mohan & Lord Shiva Temples situated in the college campus creates a spiritual feeling in the inhabitancy of the campus.